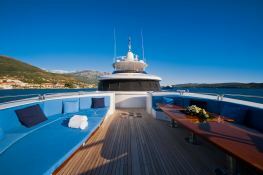 The Spirit 35 Catamaran is a superior yacht design by the famed Ken Freivokh, who is known for smooth exterior yacht lines combined with spacious interior living spaces furnished with the best European furnishings. 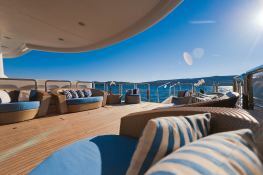 Above the main deck, you will find the Owners Suite complete with double bed, salon, office, bathroom and private balcony. 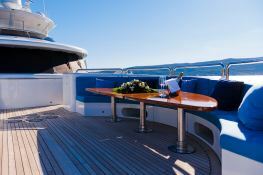 The Spirit 35 is an ideal yacht for entertaining by providing a vast outdoor living space. 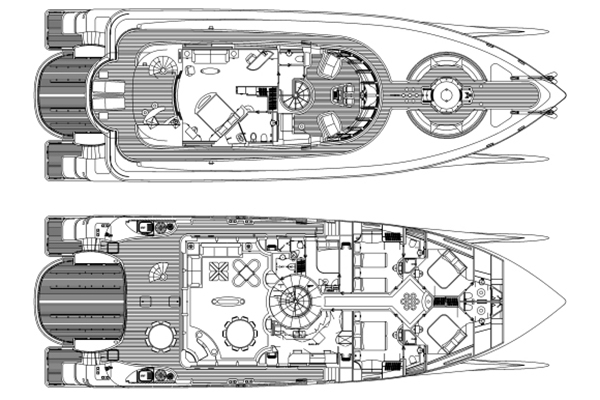 On the main deck, adjacent to the salon is a spacious aft deck with comfortable seating. 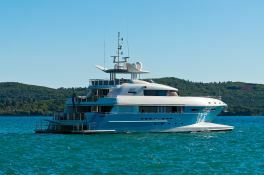 This Spirit is available for yacht charter with a base price of 90 000 $ (approximatly 79 805 €).